- Buy now! Starts showing your love and care to your pet and provides them with the cheapest life insurance that you can give quickly. Enjoy strolling with your dog's, day & night. Why wait? Scroll up to the top and click ADD TO CART now to get this Premium Dog Safety Reflective Vest straight to your door now! ✅ HIGH QUALITY MATERIALS - Made from soft durable 300D oxford weave fabric for best comfortable feeling for your dog's skin and hair. The strong durable materials makes it last forever it will never discolor or lose the strong reflective visibility. ✅ BEST SAFETY FOR YOUR DOG / DOGS - We all treat our dogs as family members, so make sure you protect your dog while night walking. It's a extremely smart and cheap life insurance for your lovely pet. Make sure and reserve your Reflective Vest now! ✅ ADJUSTABLE & WATERPROOF & EASY CLEANING - To make your dog comfortable and safe you can adjust the strap so it will fit your dog perfectly. During heavy rain our vest doesn't take any damage at all. It's waterproof and very easy to clean if it gets dirty. 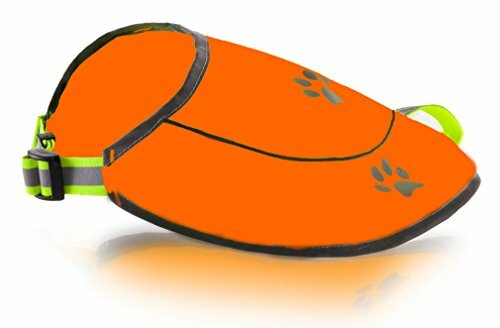 ✅ SIMPLE ON AND OFF - The design is made so you can fast put the Vest on your dog and easily take it off when you're back home after your walk. Save time & money with this amazing Dog Safety Reflective Vest. If you have any questions about this product by FUNTONE COLORS, contact us by completing and submitting the form below. If you are looking for a specif part number, please include it with your message.